A licensee since January 2015, 1-800-PLUMBING of Southeast Michigan has been in business since 1972. They offer a variety of residential and commercial plumbing services. Their goal is to deliver great plumbing services and they believe in providing professional, full-service plumbing 7 days a week. To assist in providing customers with an excellent overall experience, they have recently launched a brand-new website. The new website, http://www.1-800plumbing.com/, features a user-friendly layout and design. Visitors can easily navigate to the information they need, whether they are looking for more information about residential plumbing services, commercial plumbing services, or to learn more about the company and its background. The website design is responsive, which means that it can be easily viewed across all devices including smartphones and tablets. Website visitors and prospective plumbing customers are encouraged to call the easy to remember 1-800-PLUMBING vanity phone number, but they also have the option to fill out a “Contact Us” form on the website. They can fill in their information and be contacted by a Customer Service Representative. The new website also incorporates a company blog, in which 1-800-PLUMBING shares news about the company along with plumbing tips for home and business owners. The new website is an excellent example of how plumbers should be marketing their business online today. 1-800-PLUMBING understands the importance of a professional looking website to gain more plumbing business. Customers are no longer looking in the Yellow Pages, they are searching online when they have an active need for a plumber. A user-friendly plumbing website is an important part of an overall plumber marketing strategy, along with the use of the 1-800-PLUMBING phone number and additional branding efforts, like using vehicle wraps. 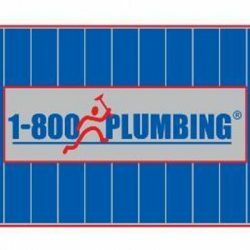 If you’re looking for a plumber in the Southeast Michigan area, be sure to visit http://www.1-800plumbing.com/.